Segregated Witness or Bitcoin Core release 13.1 has been released! This update promises to end a 2 year civil war within Bitcoin’s community over scaling, which unresolved, poses a systemic risk to the network. To the investor, the war has almost certainly had a bearish influence on bitcoin price. But before we can celebrate, Segwit only turns on when a minimum 95% of the last 2016 blocks have been mined with the Segwit code. 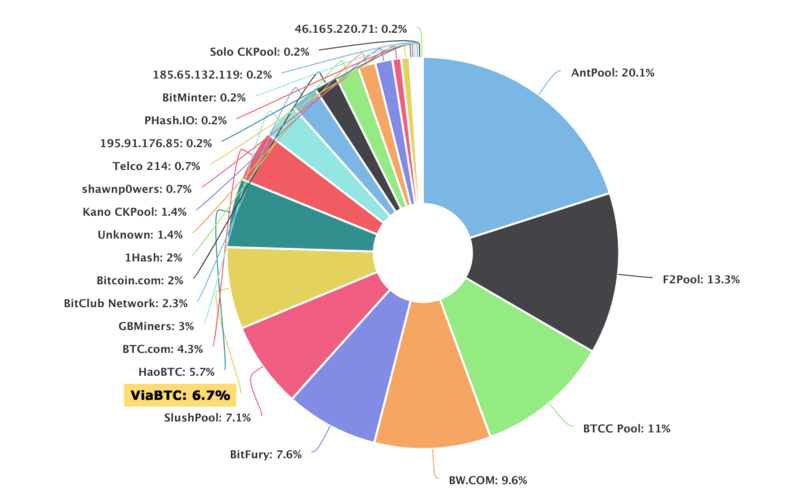 Now most people are jumping to the conclusion that any mining pool with more than 5% of the network’s mining power will have veto power to block Segwit from activating. It just so happens that the mining pool ViaBTC, who are fans of Bitcoin Unlimited, are opposing to Segwit. They control 6.7% of hashing power at the time of writing (Source: blockchain.info). Does this mean Segwit is at a stalemate? 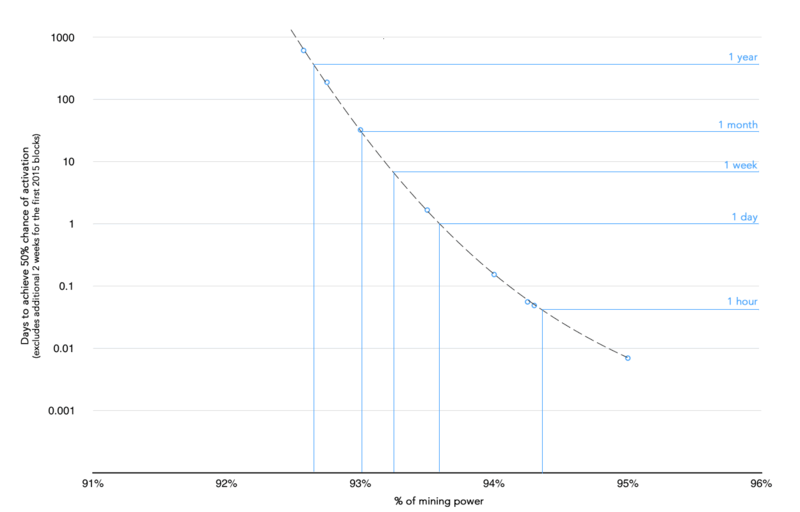 Clearly, even if you only had 1% of mining power, there’s a chance, ever so slim, but a valid chance you might mine 1915 blocks out of the last 2016 if you get to roll the dice a sufficient number of times. The question is how many times? And long will you be waiting? * I calculated my results using a binomial probability distribution calculator. I’m not an expert in probabilities, it’d be cool if someone more expert verifies my results. ** The quoted time excludes the first 2 weeks we’d have to wait for the first 2016 blocks to be mined.